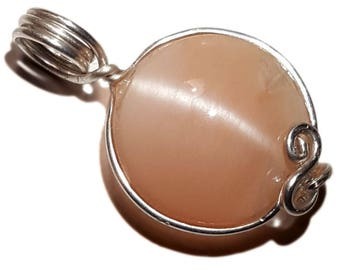 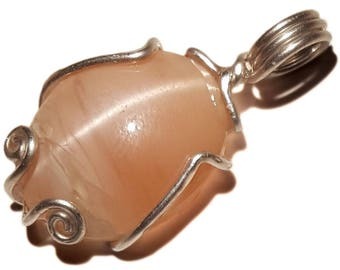 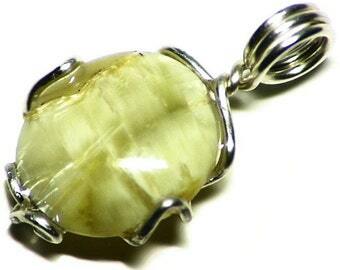 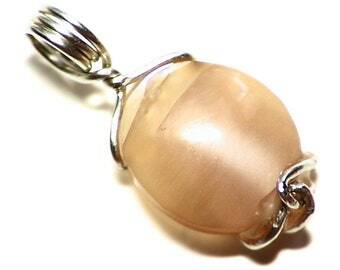 This pendant features a cabochon of light orange-peach moonstone with a silvery sheen. 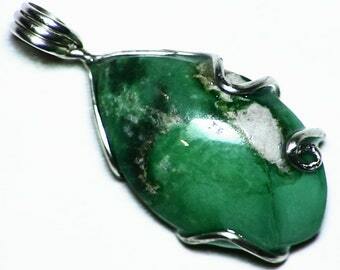 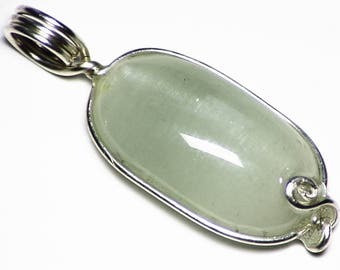 The stone measures 1.05 x 0.65 inches (26.6 x 16.5 mm) and weighs in at 25 carats. 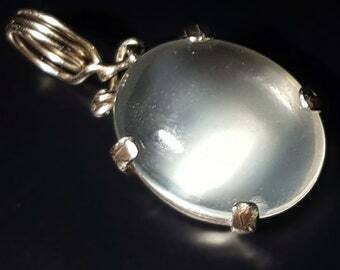 Moonstone has been celebrated since antiquity for its unique, sheen. 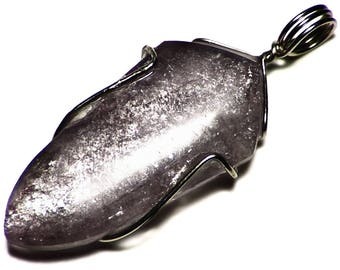 The comparison of the its silvery glow and rays of moonlight is a truly ancient one, and the reasons why are obvious when looking at a piece. 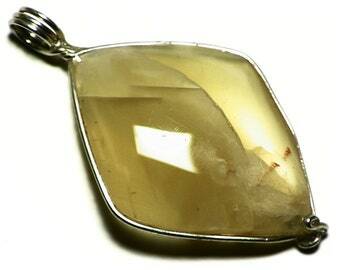 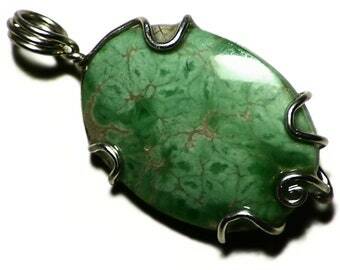 The soft light held within has a very ethaereal look, unlike just about any other gemstone. 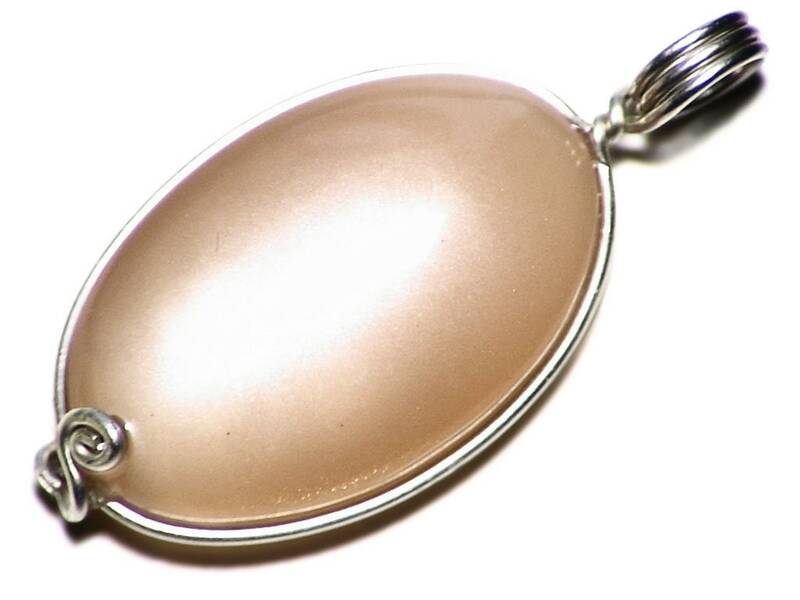 This piece is a great example, with a beautiful peach-pink base and a rich silver sheen. 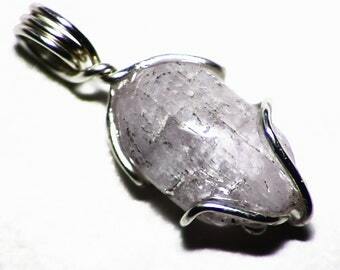 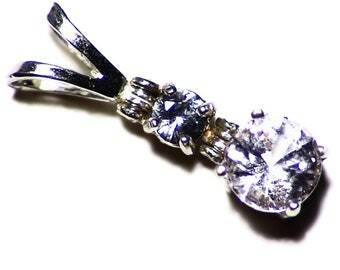 It also contains some sparkly hematite crystals which add an extra flash at different angles. 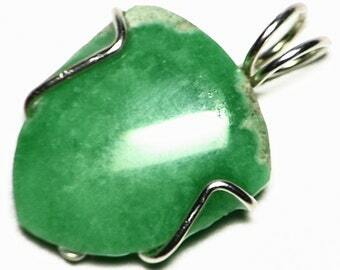 I cut this stone myself.